Oh my goodness, look what Mom and I found in the basement when I helped them move last January. Wow, I can't believe it's been almost a year since then! This is the true meaning of "Throwback Thursday"! 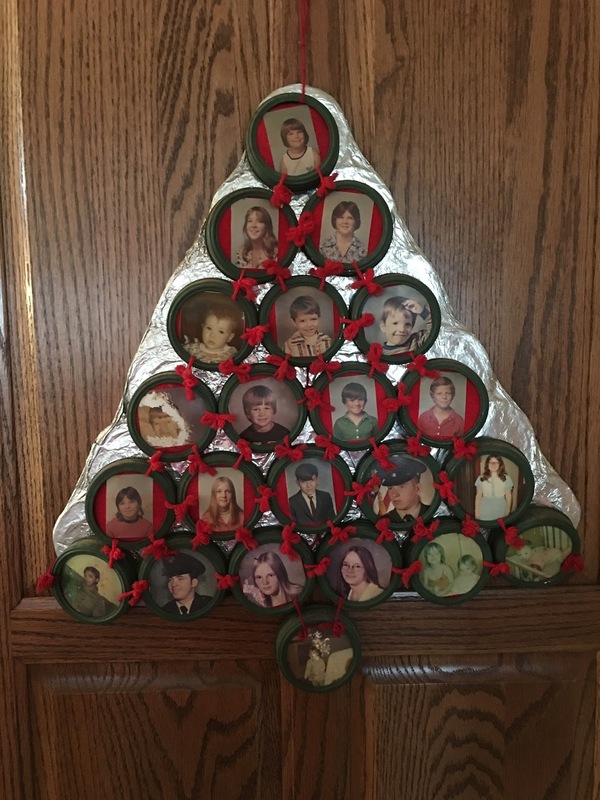 I remember making this for my Grandma Larson one year.... Like maybe 1974 or 1975???? 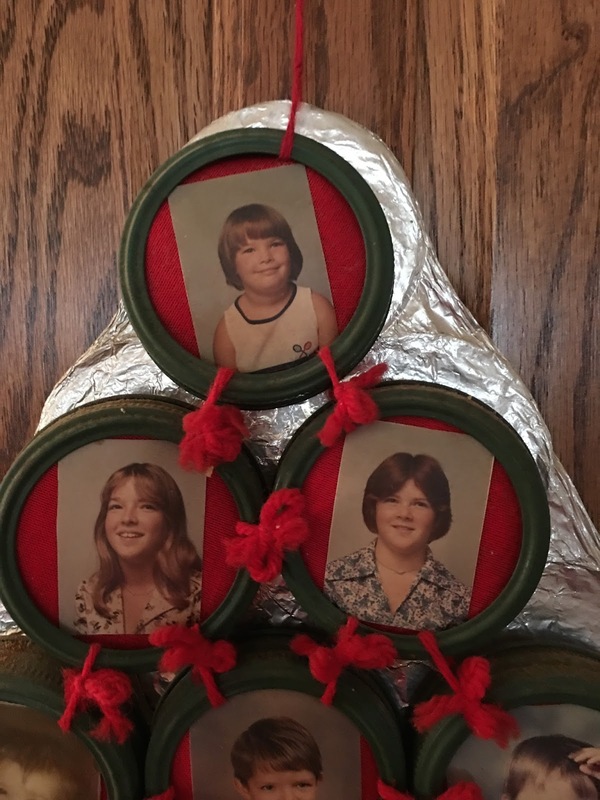 My mom made it from canning jar rings. 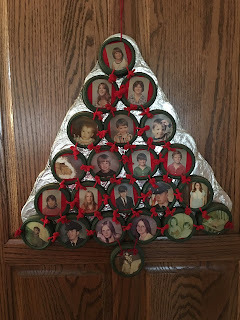 These are all of her grandkids (my cousins) that year. 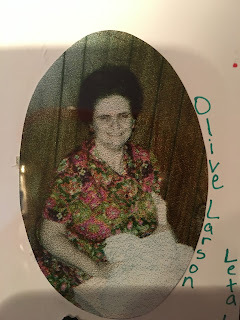 This is my grandma Larson that year. Look at these cuties! That's my youngest sister Jacque on the top. Of course she probably thinks she's the angel on the tree! And awe, how about these sweet little girls.... The Queen herself on the right and my younger sister Rhonda on the left. I can't believe it's been around, and survived, 40+ years! 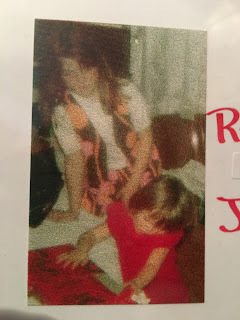 Speaking of Throwback Thursday, how about these groovy outfits. 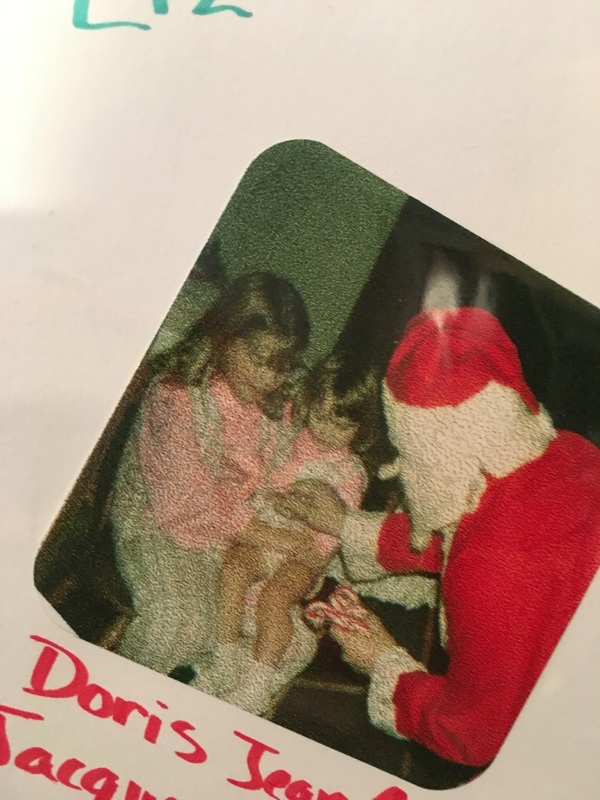 Many times my mother made matching outfits for all 3 of us. 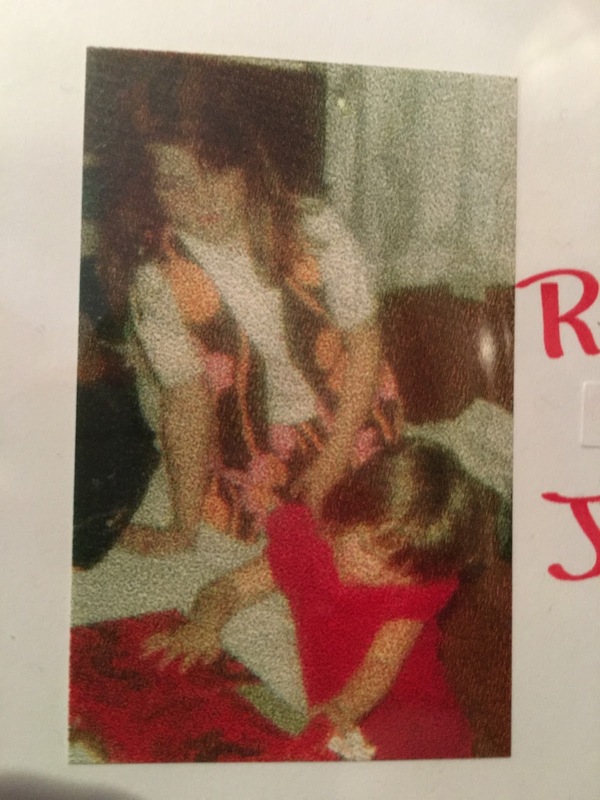 I remember both this pink plaid outfit and the brown/orange/pink one below too. I think I even got some white go-go boots to go with them that year for Christmas! Sorry about the quality of the pictures. Back then I think we were probably lucky to even have a camera, let alone a good one. And of course our photography skills might have needed some improvement; they still do! I love this. When I was very young, I wanted to make some of these. My mom didn't mind if I used the damaged lid inserts, but she had thrown away any rims that were damaged and planned to re-use any that weren't damaged. I'd forgotten all about them! Thanks for the memory!